Eventide Physion is the first plug-in to use Eventide’s ground-breaking Structural Effects technology to process audio in a way that can create entirely new sonic possibilities. Physion uses Eventide’s innovative Structural Effects technology to manipulate and alter a sound’s transient and tonal elements separately, and fuse them back together, creating brand new sonic possibilities. How Does The Eventide Physion Work? Physion is a uniquely powerful plugin that allows you to split a sound into its transient and tonal parts, independently manipulate them using Eventide’s world-class effects and then fuse them back together into a brand new and completely unique sound. With the ability to add effects and dynamic controls to the transient and tonal sections, there is no limit to how many creative choices you can make, from the subtle to the extreme. The separation of the incoming audio into transients and tonal parts of the signal, leading to parallel multi-effects, introduces a new level of sound design like no other plug-in can deliver. Sound Design : For example, you can remove transients from pianos or guitars to create bowed sounds,or go even further by adding extreme effects to the independent channels. 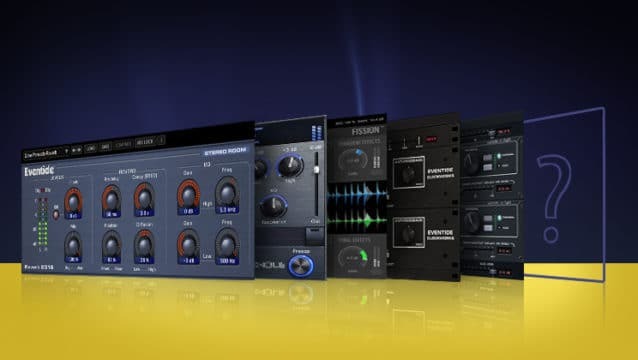 Drum Tuning – Physion allows you to easily re-tune a drum without affecting the transient. Delay the cracking transient of a rimshot while leaving the tonal ring as-is. Solo out the transients to tighten up a sound and add some compression to tighten further. Articulation : Physion’s structural split can be used to modify vocals in subtle or drastic ways. Emphasize or reduce sibilance, add or remove resonance, or turn robust vocals into whispers. Transient Shaping : Physion is not a traditional transient shaper – it’s a transient separator. It goes beyond what has been possible by allowing you to surgically tune the transient and tonal response independently. Audio Restoration : Remove unwanted tonal ring and hiss, or just reduce it with compression/expansion. Beef up the transients from old instrumental recordings to improve presence in a mix without squashing the life out of the tonal material. Loop Mangling : Use various instances of Physion to morph and transform your loops using independent tonal and transient delays.